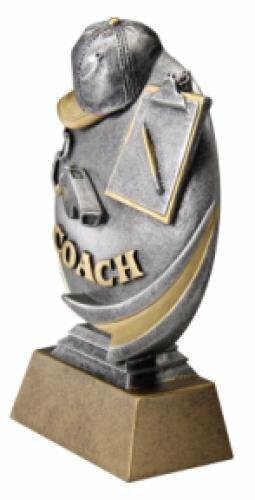 The coach resin trophy is an ideal way to recognize your coaches who gave their time and expertise to the team. 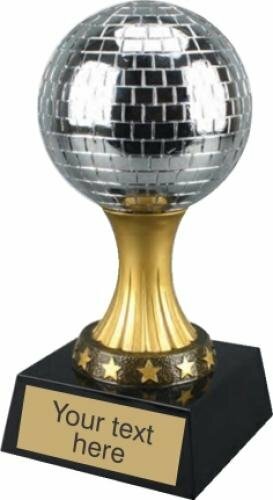 Disco resin trophy for your dance competition. Features a mirror ball atop a gold pedestal and black base. Individually boxed. 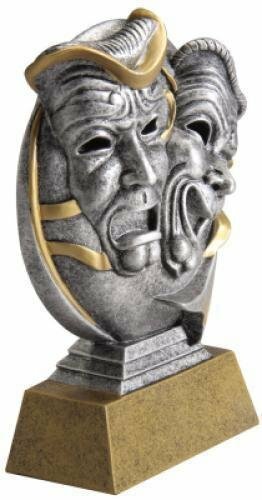 Your local Gloria Swanson, William Holden and Cecil B. DeMille all want to receive that special award. 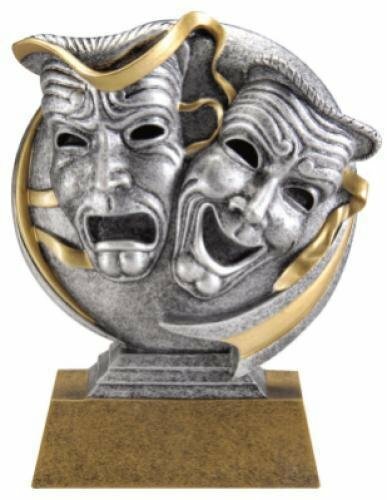 And this one is very popular for drama and acting. Take their excellence and achievement to new heights with this soaring eagle recognition award. 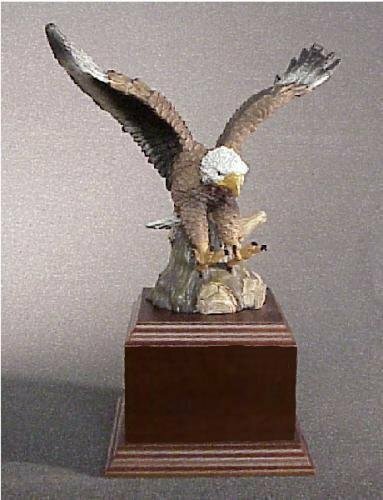 Painted resin eagle on wood veneer base. 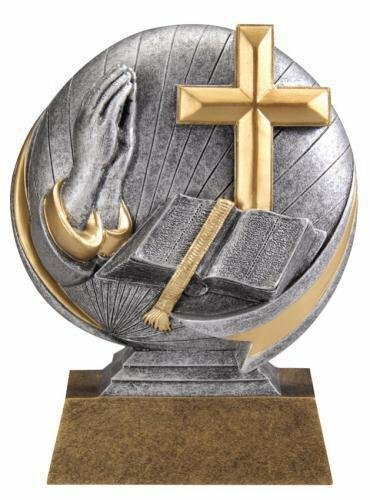 The Religious faith resin trophy is ideal for quizzing, AWANA and any church related activities. 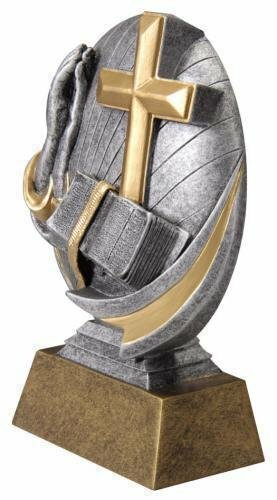 Praying hands religious award is pewter-look resin with Bible and cross. 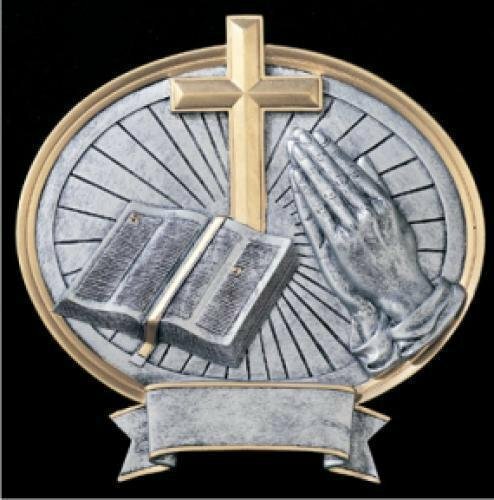 Can be a table-top trophy or a wall plaque. 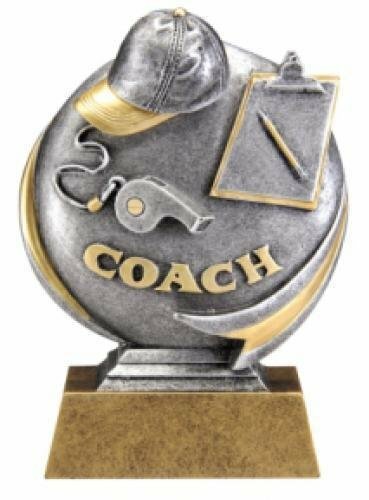 Football bobble head award. Infectious trophy fun. 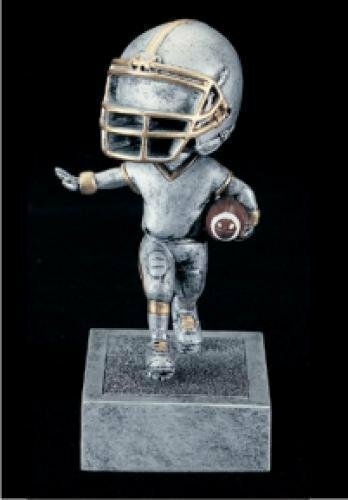 Detailed resin male football trophy. Comes with a gold plate printed with black text. Individually boxed. Production lead time for this trophy is 5 days. This trophy has a maximum order quantity of 8. This football trophy isn't for the timid. It's a monster of a resin award. 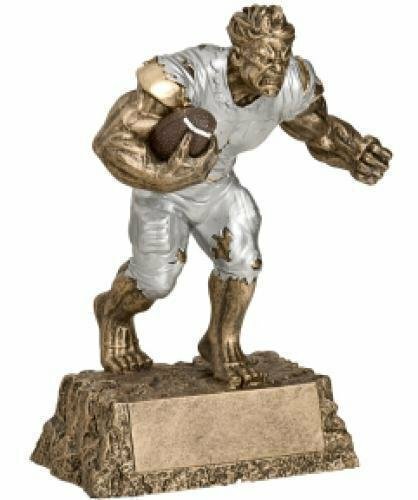 A classic resin football trophy on a base. An engraved black aluminum plate with silver text is attached to the black marble-look base. Up to 10 words of text included on base. For an additional cost, small plates can be screwed to the sides of the base, making it a perpetual trophy. Contact us for that price. If you'd like a shorter trophy, click here to see it with the base removed.